I last talked to Raina the Halifax Mermaid for this blog a couple of years ago (here’s the inimitable interview), and she’s been up to a whole lot of mermaidly stuff since. 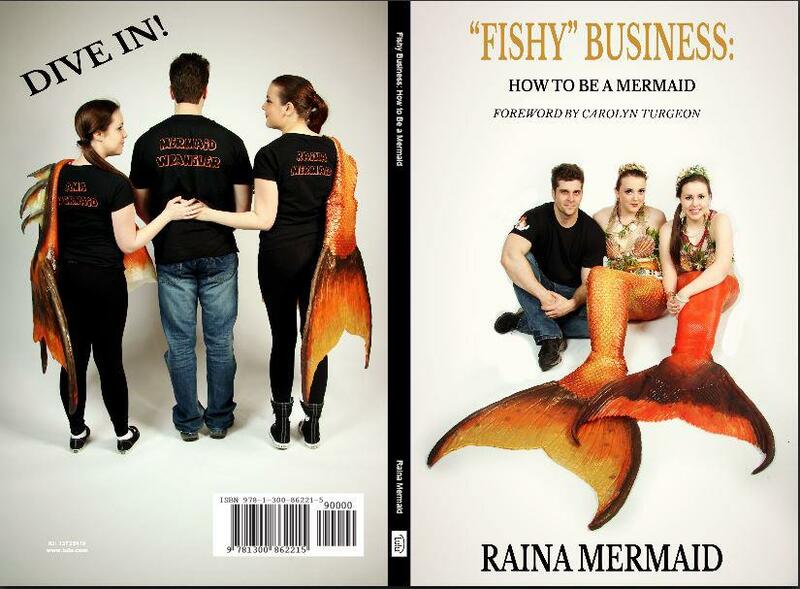 She has even proven the literary-ness of mermaids everywhere by writing a book, “Fishy” Business: How to Be a Mermaid, which came out two weeks ago and which aspiring mermaids everywhere can order here. Yours truly even wrote the foreword, so it is obviously the best book ever and will very likely change your life. So tell us about your book. What prompted you to write it? 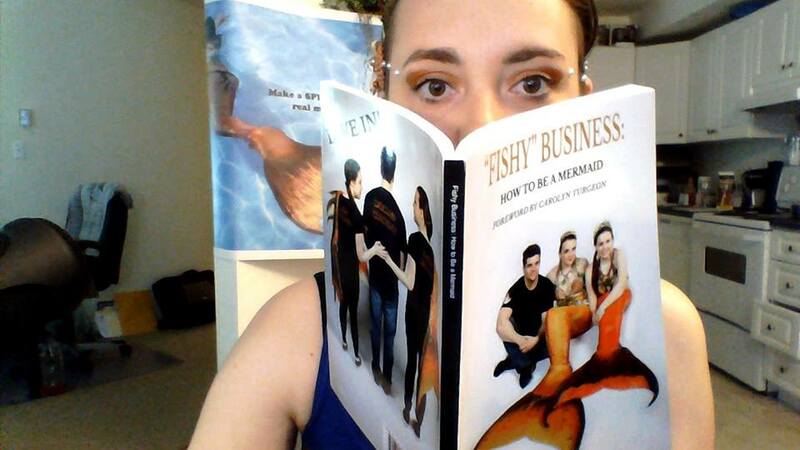 My book is called: “Fishy” Business: How to be a Mermaid. It’s 1 part autobiography, and 1 part How-to. You can learn how I became a successful mermaid performer, and how to create your own mermaid company too. 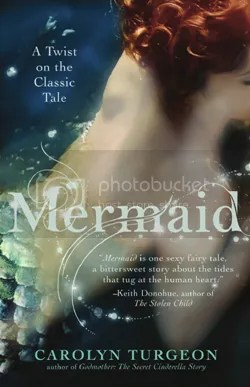 In the book I have it broken into 4 Parts: Fins, Persona and Image, The Working Mermaid, and Resources. There were a few reasons behind writing the book, and I’m embarrassed to say that one of them was stress! As an active mermaid I get 100s of emails from all over the world, from mermaid hopefuls looking for some information. At first I’d always give detailed replies. I’m a teacher, I enjoy educating others! Before I knew it, it got to be too much. I looked for other outlets to educate others about the mer-world and started posting tutorials about professional mermaiding on mernetwork. After a few posts I realized I had quite a lot of material. After complaining a few times to friends and family about some of the not-so-nice, more demanding emails, it was suggested to me that because I was using my professional skills in teaching, that I charge a fee for my advice. I didn’t really feel comfortable with that idea, but it did eventually dawn on me that I could write a book! I put some feelers out there into the community, to see if people would be interested in something like that. I got back a mixed response that people either wanted a how-to-guide, or an autobiography. I decided to combine the two. 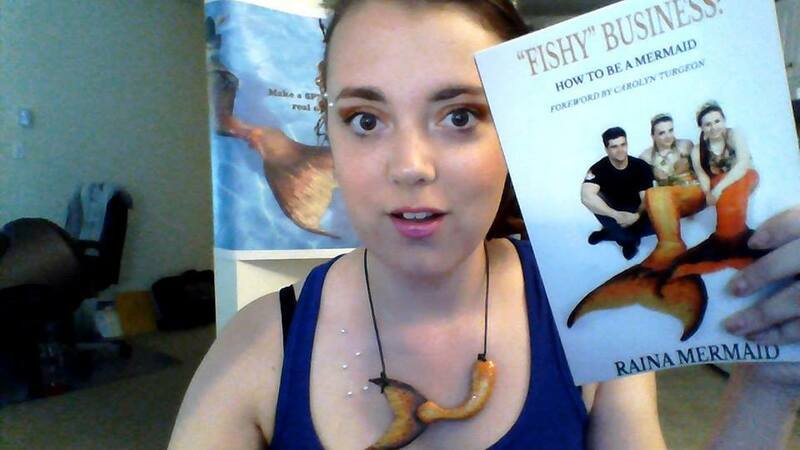 I spent a few solid months doing nothing but working on the book, while doing mermaid work on the weekends. It was wonderful and a great growing experience. What can aspiring mermaids learn from it? Hopefully everything and anything they need. A lot of research went into this book. It isn’t just my knowledge and experience, but the collective knowledge of our community, things I have learned through my two degrees working with children and educating, and things I have learned from interviewing mermaids who worked in fields different from mine (like in aquariums). I start with the very basics of how to get a tail, get the funds for a tail, learning to swim, and discovering the mer-community. Then I explain the things that need to be in order before starting a company, like your persona and image, networking and promotion, a few legal things, and gear. From there we go to life as a working mermaid, with the very basic logistics that apply to all mermaid work, to the specialized steps involved in both getting and working very specific gigs and events. All along these three parts I’ve included personal stories—some never before shared—that are both embarrassing and hilarious, of how I figured things out the hard way. There are some photos, and then there is a resource section with links, phone numbers, information, books, and more to help out the mermaid enthusiast or professional mermaid. The book is intended to be for all levels, all ages, and those who are either only interested in hearing my story or those only interested in setting up their business. I don’t just tell you the info, I teach it to you using a variety of strategies. Can you share a tip or two here? Sure! I think the best tip I can tell anyone is that they need to advocate for themselves! Our profession isn’t well known at the point in time, and even within the realm of performers we’re on the outskirts. Businesses aren’t just going to hail you down all the time for work, or even understand what you’re trying to do. It’s up to you to put yourself out there, provide people with examples of what you do and why you’d be a good hire, maybe even go as far as to submit a proposal or give a presentation! In my book I try to give you all the tools you could possibly need to do that, and I feel that much of the material can be applied to many businesses within the performing world. To us our mer-world is so much a part of us it can be hard to grasp that someone may have no clue that mermaids can even be hired. I think the second best tip I can give you is that it doesn’t happen over night, no matter how easy some of the real pro-mermaids make it look. Everything takes time. You don’t need the perfect expensive silicone tail to start your company- I made mine work with a fabric one and then a falling apart latex one so I could get my start. If you’re always waiting for the perfect conditions, you’ll never get started. You just need to start! Much better than I could have ever expected. Within my first day of sales I’d sold fifty books. Within the first ten days of sales, I’d sold a hundred. I’ve gotten nothing but positive reviews that have pretty much made me cry, because total strangers were able to easily pick out all the important points I was trying to make. I’ve gotten so much fan mail because of it, and so many people have told me it has given them the courage to follow this dream. I really felt like we were such a small community and a niche market, but the majority of the people buying my book are total strangers to me, and not even in my country! (My poor friends and family members haven’t even gotten their copies because everything has been going to everyone else, hah!) I had a few very vocal nay-sayers when I first presented the community with this idea and asked for feedback on what sorts of things they’d like to see covered in the book. I’m just very very happy I didn’t listen to the nay-sayers, because writing and publishing a book has helped me grow, helped me pay for some much needed dental work (lol) and brought me happiness and closeness within the community. What’s next for you, mermaid-wise? 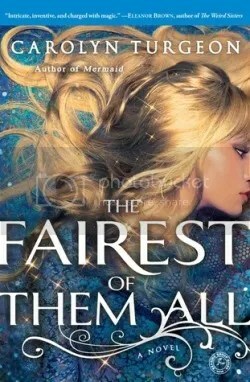 We’re using the remainder of the book funds to purchase my baby sister, Mermaid Ama, her own merbellas studios inc tail. Currently she is borrowing one of my tails, and she’s very excited to have one that is made to fit her. My company has quadrupled so I’ll be spending the majority of the summer doing many parties, events, parades, and performances with Mermaid Ama, Mermaid Mimi, and Mermaid Naida. As always, we’ll be participating in many environmental events like World Ocean’s Day. We’re going to focus a lot more on our video and photo output using some of the tips from my book, working with the media on some pieces, and hopefully getting our ducks in a row for a potential children’s show later this year. We also plan on publishing a photobook in the fall, hopefully with an accompanying account of this upcoming summer 2013 (Think A “Fishy” Summer: Journal of a Mermaid) and video documentary. I tend to come up with big projects for myself, but I break them into obtainable goals and somehow they get done. Another great article. Very excited to discover the Siren School website. A treasure trove one could easily get lost in for hours (including a delightful Pinterest page). Thanks so much for leading us to this!